Madonna is an American singer, composer, and producer of pop, disco, dance, and electronic music. She has also tried her hand at acting, designing, and writing. Her international success has established her as a music icon for the past three decades. She is also referred to as the Queen of Pop. 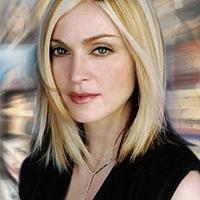 Madonna is known for her ability to continually reinvent herself throughout her musical career. She has received numerous recognitions, including 7 Grammy awards and 27 nominations. Vote and help us decide which of her albums are the greatest.